Wow, I've missed a lot in the couple of days since I visited you! 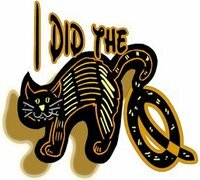 First, yes, get out and vote. It is a privilage a lot of people fought hard for. Second, that steak looks delish! You are smart to surround the plate like that. Don't let any get away. Third and most happily...Happy 3 month Gotcha Day Millie!!! It makes us happy to know that there are good people in the world (Malcom, all who helped you, the vets who gave a discount on your bills) and that you are in a wunderful forever home. Happy Peace Day. I am so happy that you have decided that you like being petted, at least for a little while. 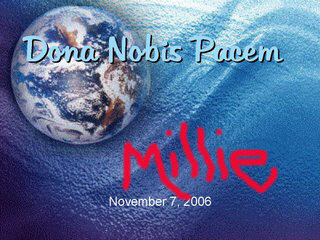 Happy Peace Day to you, Millie! We cats can certainly teach humans bout gettin along.